Today, we’re excited to announce the launch of our brand-new “3.0” version of 8tracks on iOS. The new app makes it easy to find the playlists you’ll enjoy most, wherever you may be. We think you’ll love it. We fully re-designed the app to be bold and beautiful, incorporating both iOS 7 standards and numerous performance enhancements. You can now more readily pick playlists based on what you’re doing (e.g. study, workout, party, sleep) and how you’re feeling (e.g. happy, sad, love, mellow) in combination with a deep selection of genres and artists, a fundamental component of 8tracks since its launch on 8/8/8. Check out some of our favorite updates below. The new home screen features the Timeline, showing where you last left off; you can swipe right to reveal your playlist history or left to see upcoming playlists. Below it you’ll find your shortcuts, a personalized list of tag combinations and other playlist sets you tune into most frequently. The playlist page has also been redesigned to give you a clearer view of the artwork and easier access to the track listing. 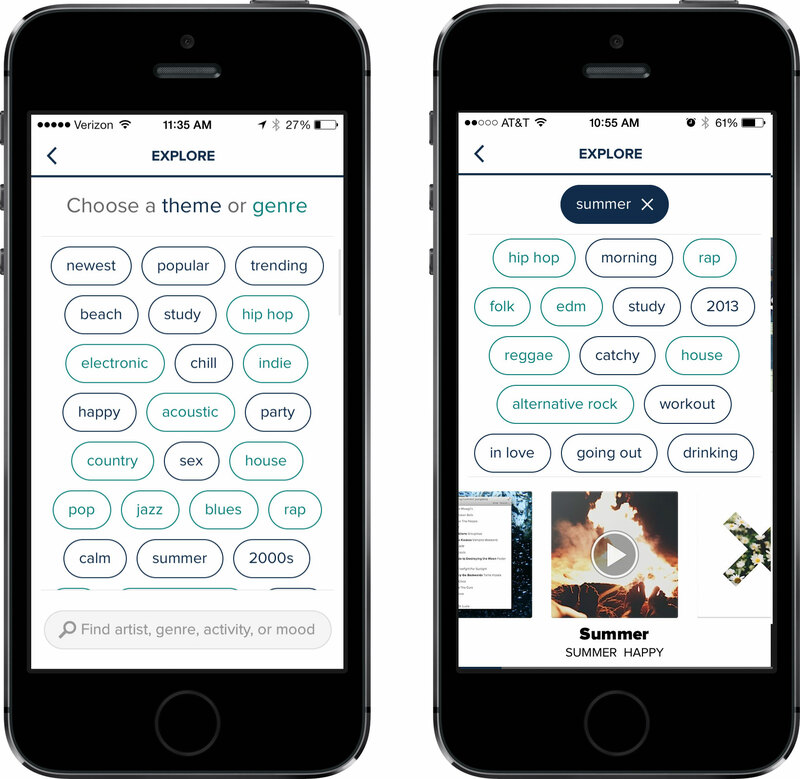 The updated Explore page allows you to browse playlists in a quick and dynamic way, distinguishing genres from activities or other themes by color. Swipe through the results below to find the perfect match or just hit play to start listening immediately. The new sidebar gives you ready access to Collections you’ve created on the website, as well as your Profile, Feed, Liked playlists and Recommendations. In addition, Tumblr and WhatsApp options have been added so you can share the playlists you love however you see fit. Another cool addition is artist info from OpenAura – just tap on the currently playing song to see more. What if you’re on Android? Don’t fret. We’re working on a new Android app as well, so stay tuned for updates this summer. Thanks for listening (and reading), give it a go and, as always, we’d love to hear your thoughts. If you like it, it’d mean a lot to us if you took a moment to rate and review the app! Thanks for the work on the app. I’m looking forward to having my collections available on Android, I’ve been using Infinitracks for that. However, I can’t play collections made by other users. There’s no point recreating a collection that others have put so much effort into. Will being able to play collections made by other users (just like in the browser) be a feature? Hi Danielle, we are working on the Android app and will have it out shortly. Thanks for your patience! Why is android taking this long? are there that many more iOS users that android has to wait, while iOS gets top priority? Hi Tom, we’re getting very close to a release. I know we’ve been saying that for the last few months, but trust us, we’re almost there. We recently added a new Android engineer to the team, and we’ve been Beta testing and debugging like crazy. 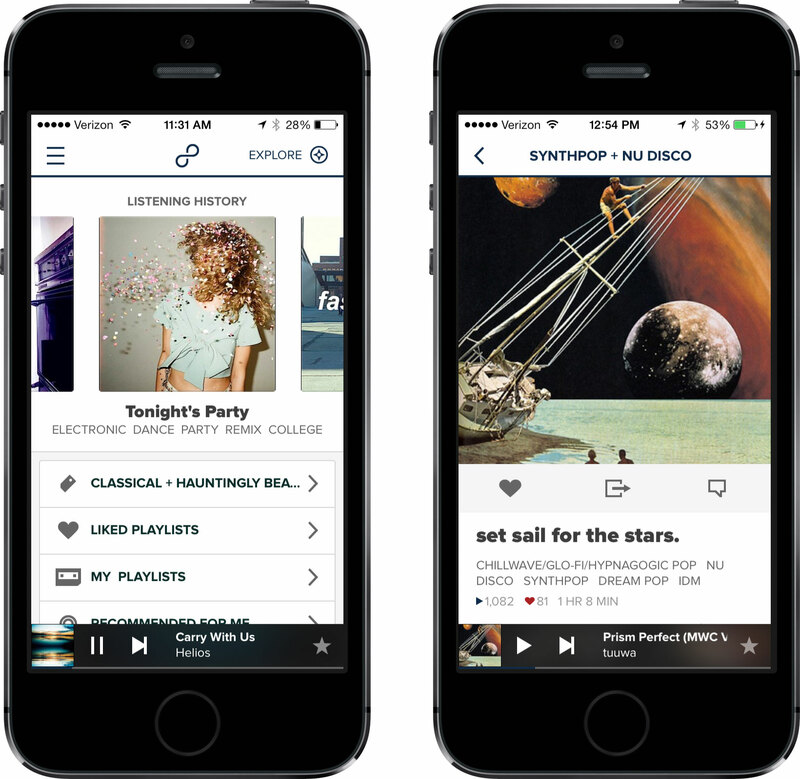 If you’d like an invite to the Beta version, please send us an email to support@8tracks.com. Thanks for waiting!